For my last post of the year I decided to compile a list of my most popular book reviews written within the year of 2016. I read a total of 74 books over the past twelve months, with 23 reviews being written. As you can see, I don't review all the books I read. I don't really have a formula to which books I do review here on my blog, and which I don't, however I would say I tend to write reviews for the books I want to shout about and recommend to others. 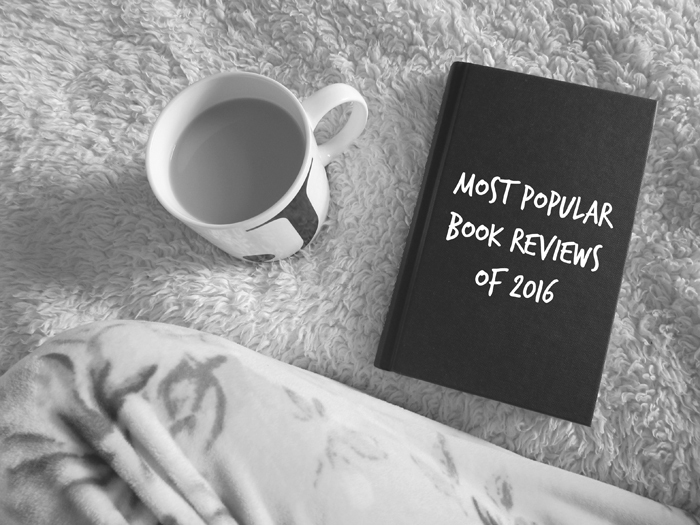 Below is a list of my ten most viewed book review posts from 2016. WISHING YOU ALL THE HAPPIEST OF NEW YEARS, WITH WONDERFUL READS TO BE HAD!